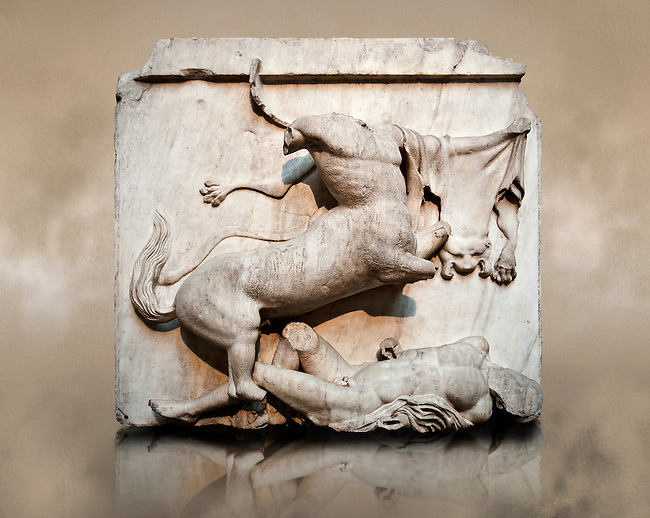 Sculpture of Lapiths and Centaurs battling from the Metope of the Parthenon on the Acropolis of Athens no XXVIII. Also known as the Elgin marbles. British Museum London.